We were very excited in the studio, when a well-known Israeli company asked us to make a tapestry with The Rolling Stones logo. 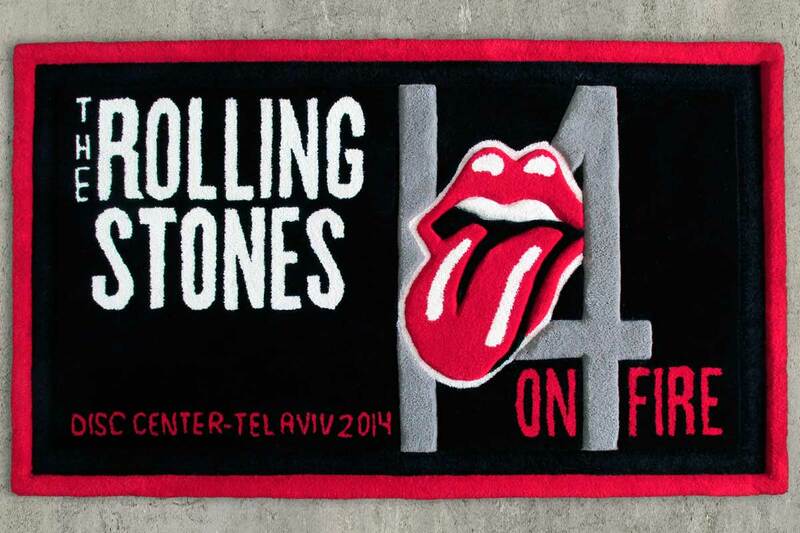 The tapestry was intended as a gift to the band, on the occasion of their concert in Tel-Aviv on June 4th, 2014. We designed the tapestry, the design was approved by our client, and here you see the end result — the tapestry itself! I think it’s perfect for the famous rock band – suits them to a T!